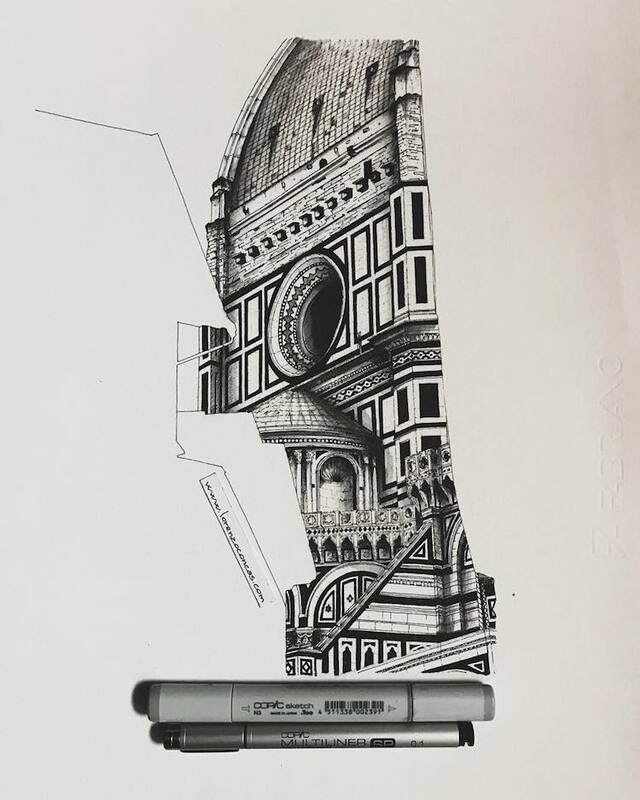 Based in Florence, architect Lorenzo Concas takes advantage of his incredible surroundings by executing incredible architectural drawings of the Italian Renaissance churches that surround him. 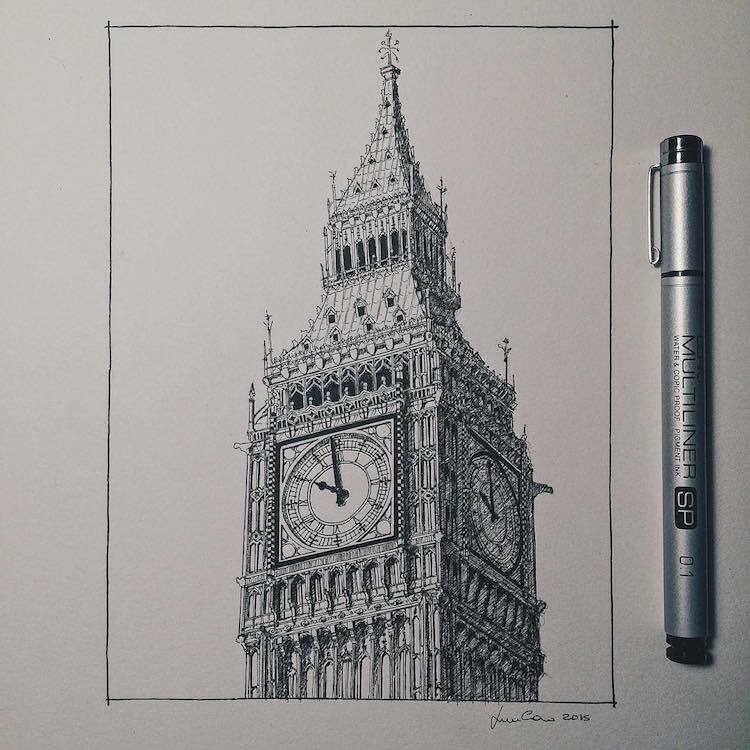 For good measure, he also throws in familiar European sites like Paris’ Eiffel Tower and the Palace of Westminster in London. 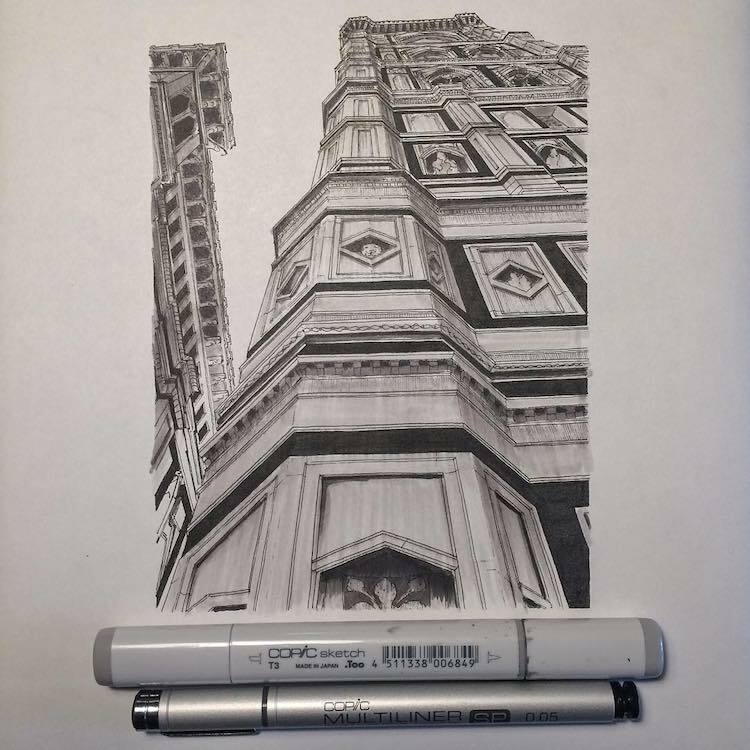 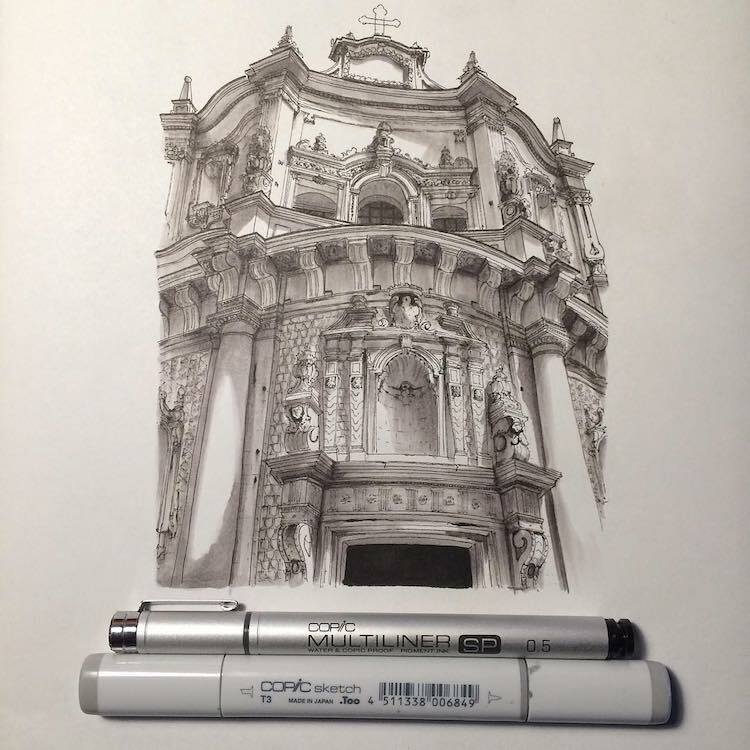 Concas’ architectural sketches are small in size, but rich in detail, each building depicted in grayscale. 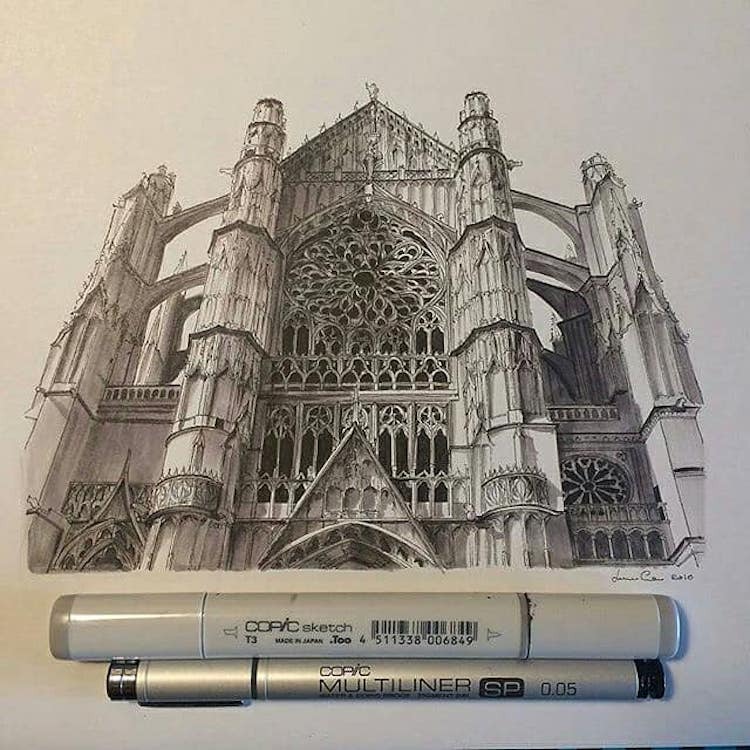 Using Copic ink pens and Copic sketch markers in tones of cool gray, everything from the Gothic tracery of Notre Dame to the reasoned, symmetrical decorations on Santa Maria Novella in Florence pop off the page. 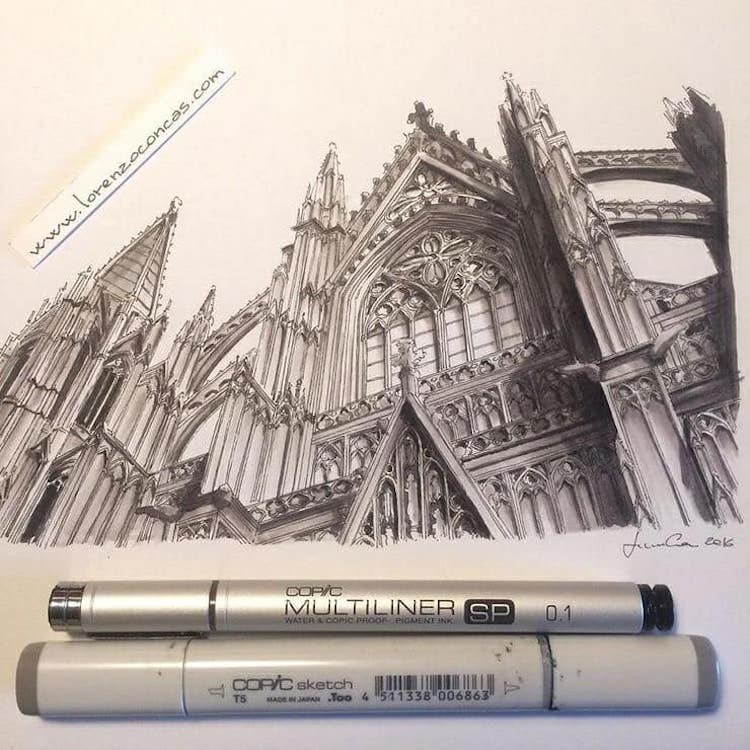 His work is a reminder of the incredible drawing skills that architects possess, and that each piece of architecture is an artwork unto itself. 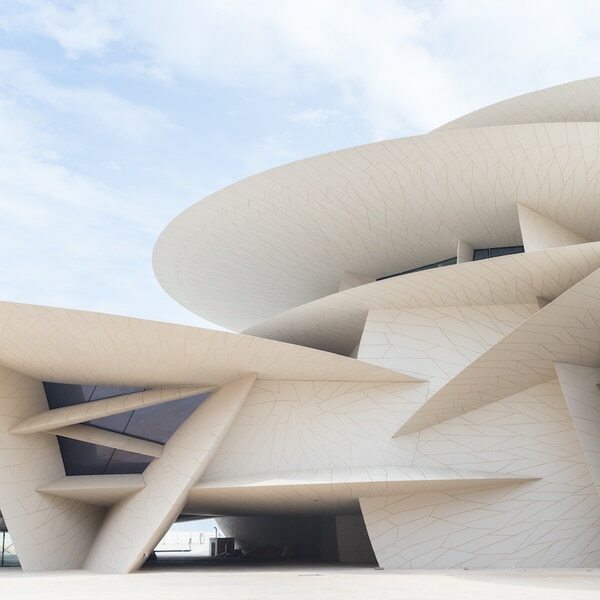 Given that Concas is also a lighting designer, it should be no surprise that he also focuses attention on the light and shade of each building. 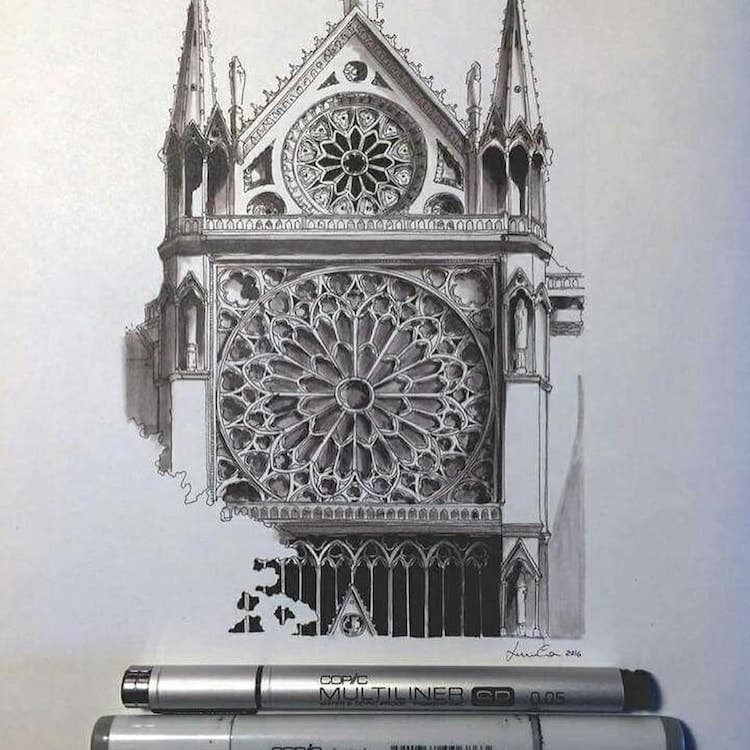 His work comes to life from the shadows cast by individual architectural elements, showing off the dimension of the incredible European architecture. 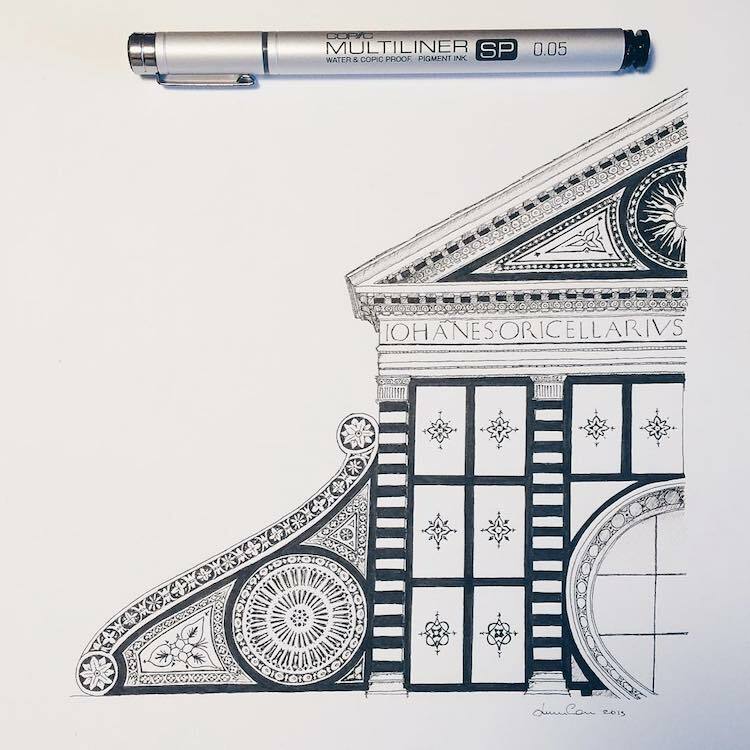 Each architectural drawing is framed in an interesting manner, either tilted on its side or slowly fading out to white. 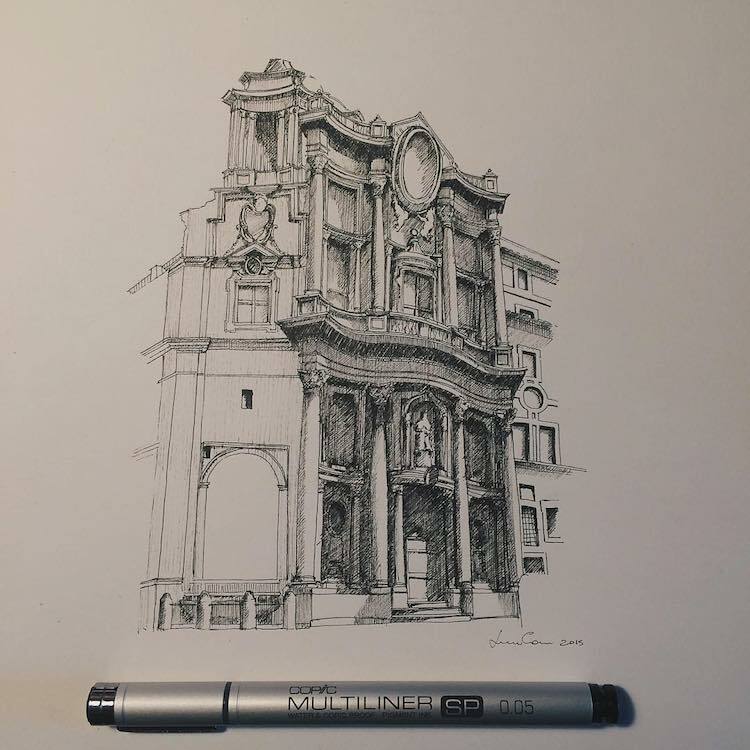 By presenting the architecture in this way, Concas forces viewers to see his perspective on the buildings and to zoom in on the precise details he executes so masterfully. 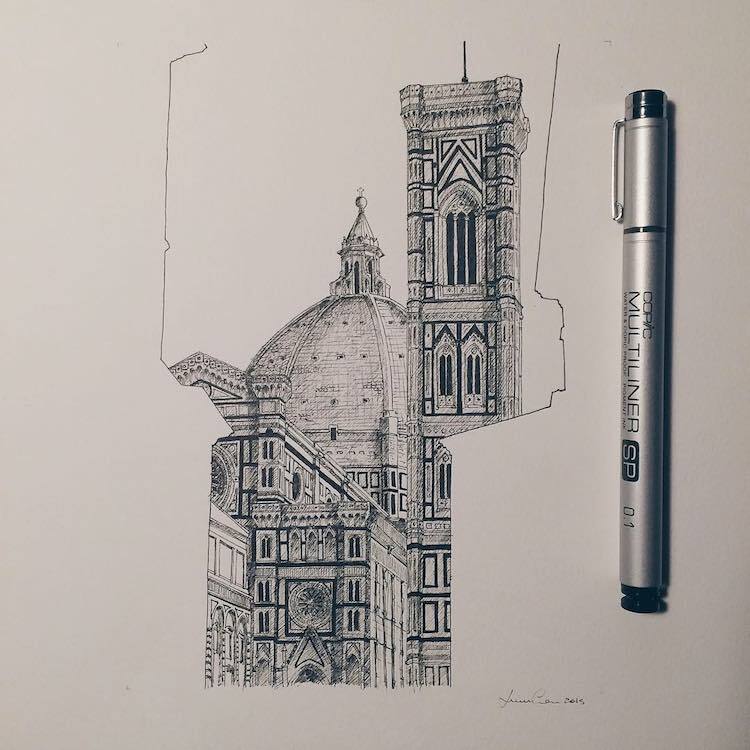 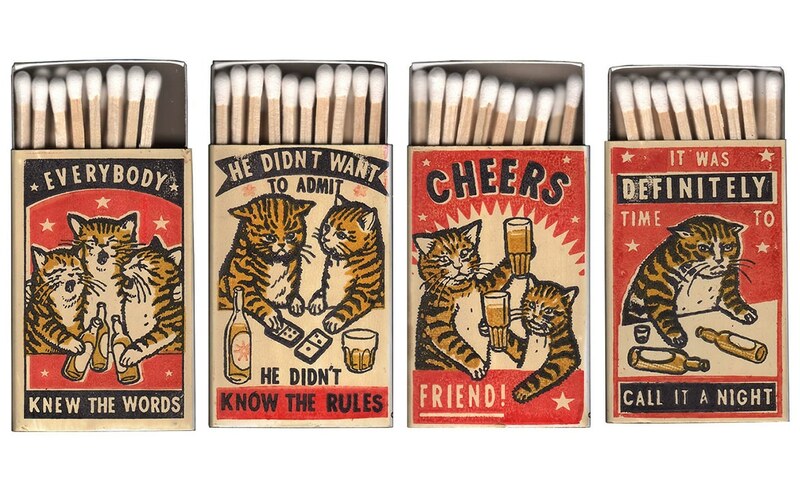 The Italian architect sells his original drawings via his website, while prints and other products are available through Society6. 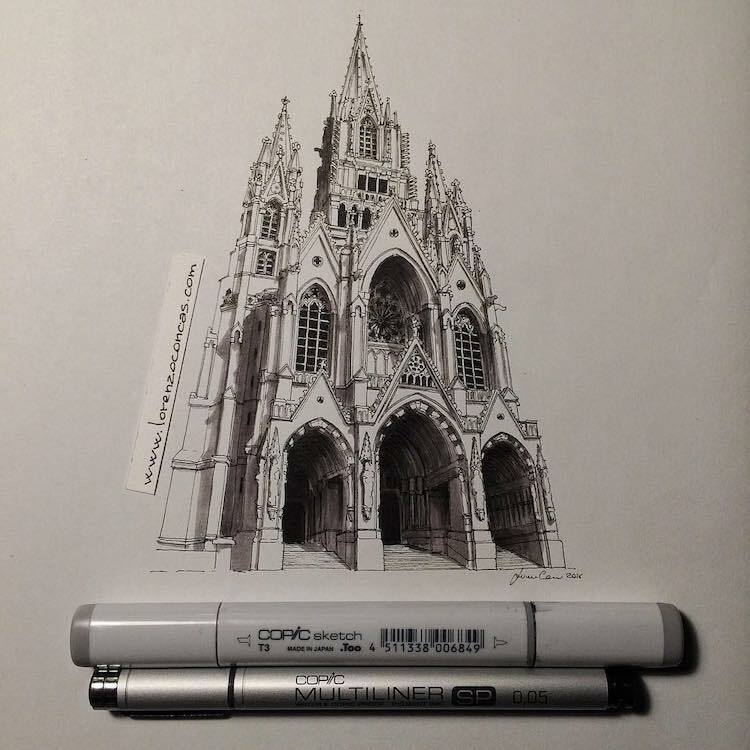 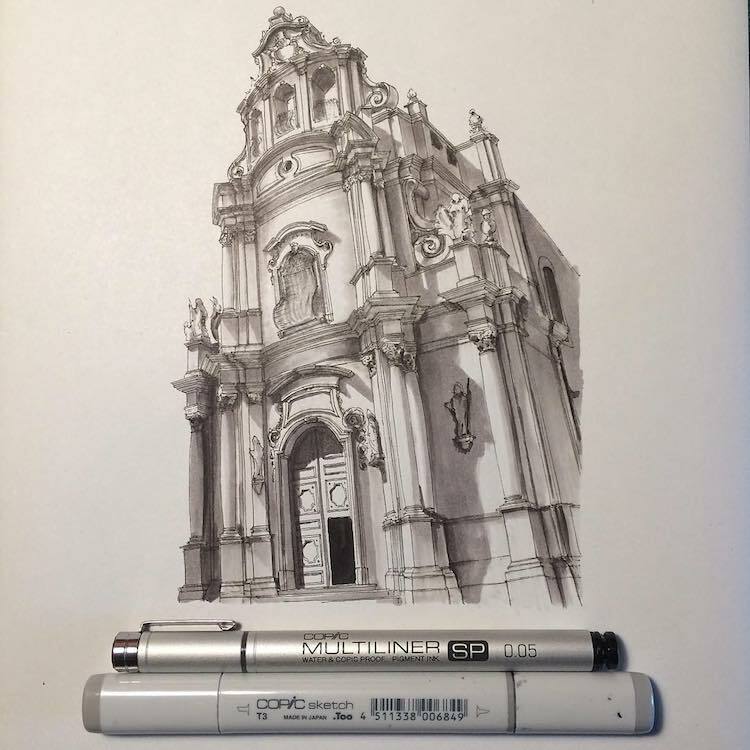 Italian architect Lorenzo Concas is a master of miniature architectural sketches. 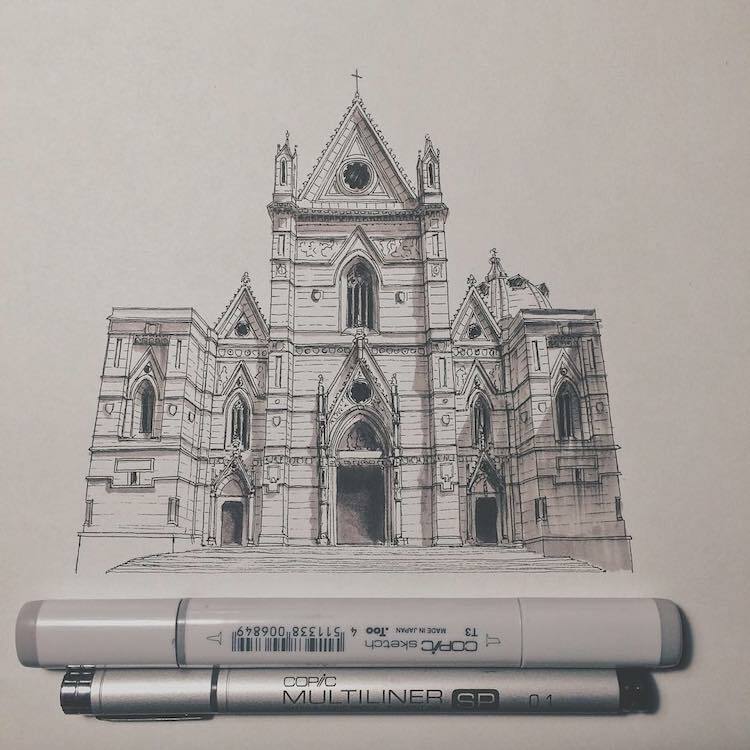 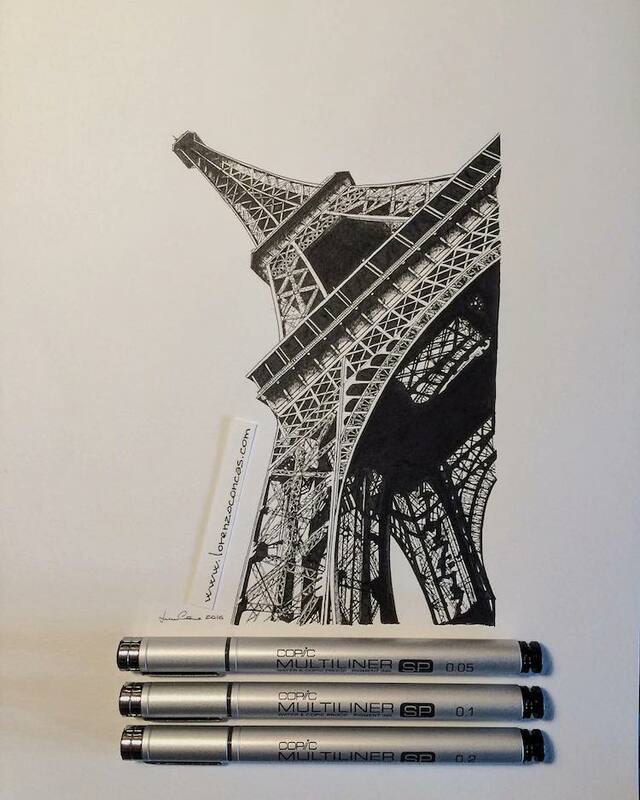 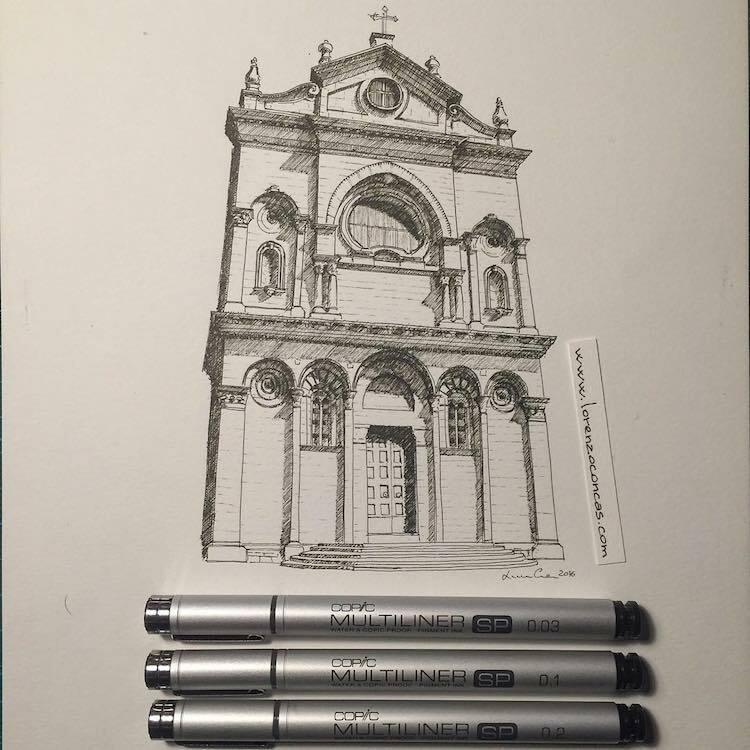 He primarily creates architectural drawings of churches across Italy and Europe. 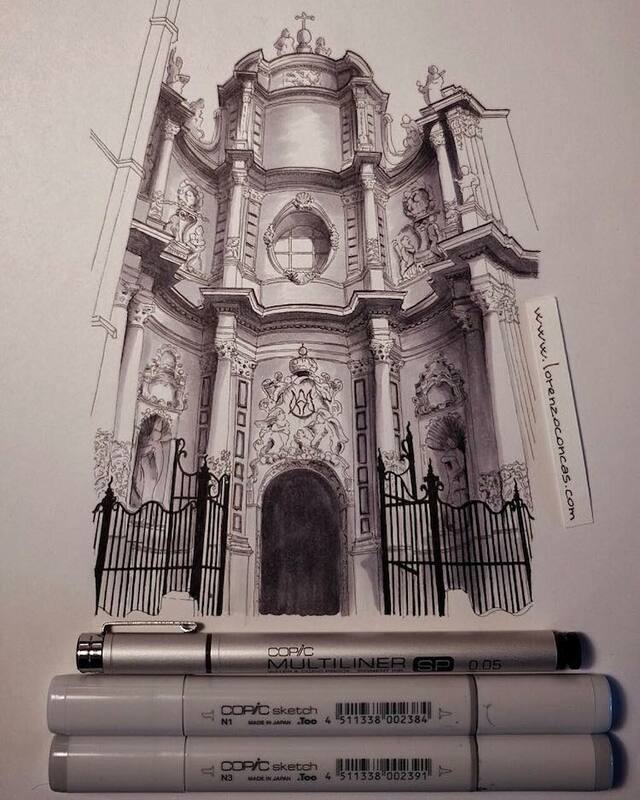 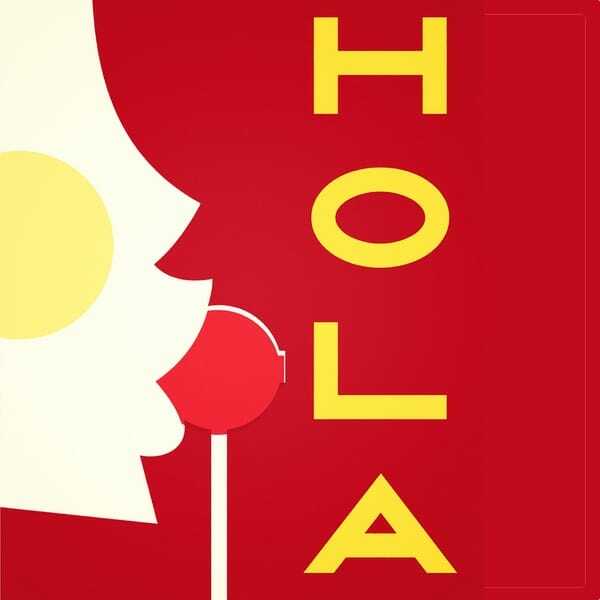 All images via Lorenzo Concas. 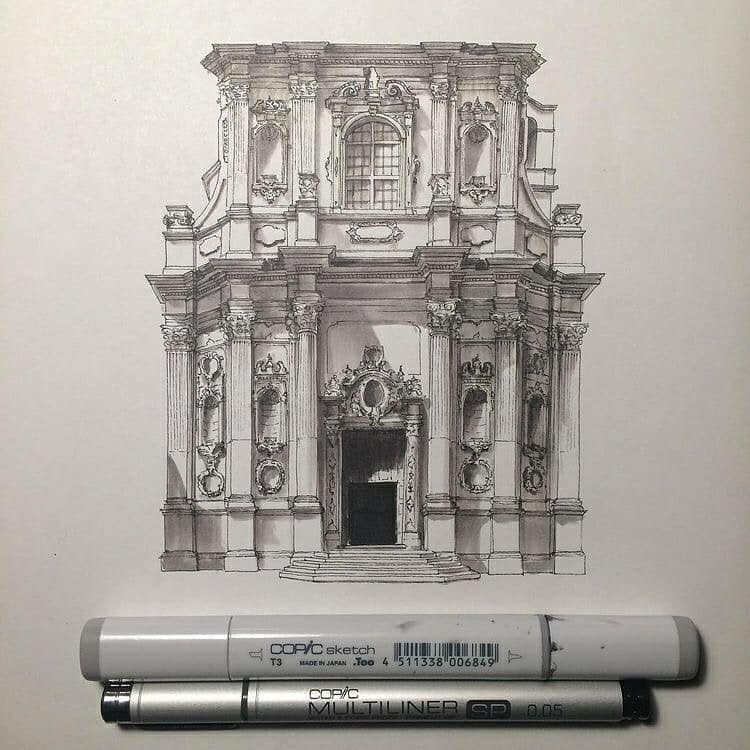 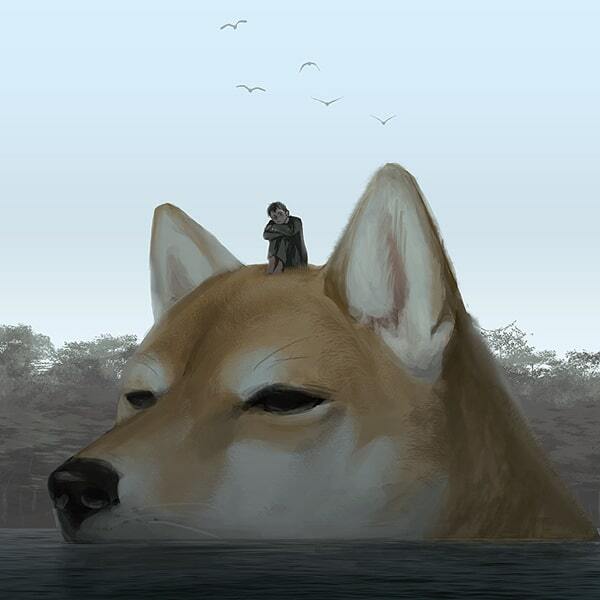 Stunned by the quality of these architectural sketches?